Hi everyone!! I was really low on time for this one, but I still really like it! I started off with two coats of China Glaze New Birth, followed by one coat of SV. 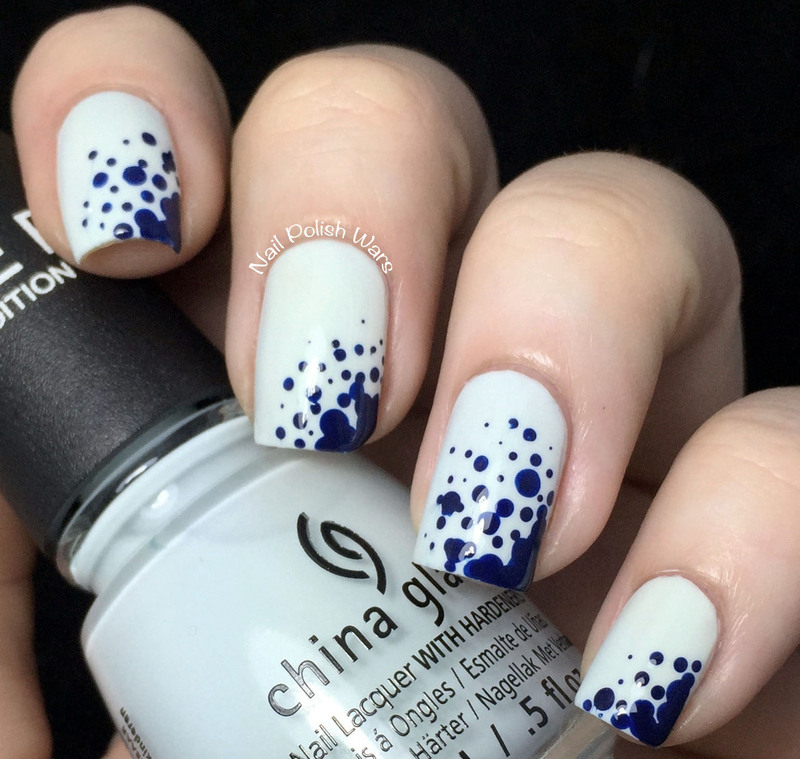 I paired my dotting tools with China Glaze One Track Mind and added a gradient dotted look to the side corner of my nail. I finished with one coat of SV. I just bought New Birth and application is very tricky. 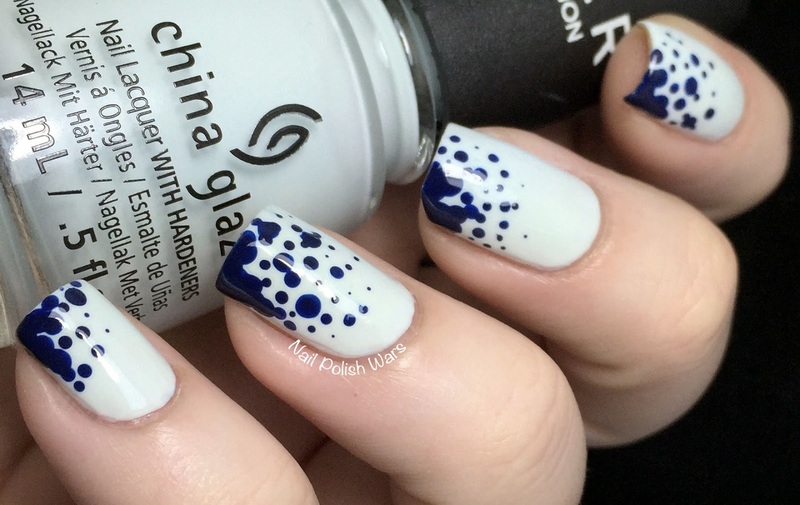 This is a very cool way to fake a splatter nail art and not make a mess. It's great! I absolutely love this look! Would be fun to see this in some different colors too! so fun! 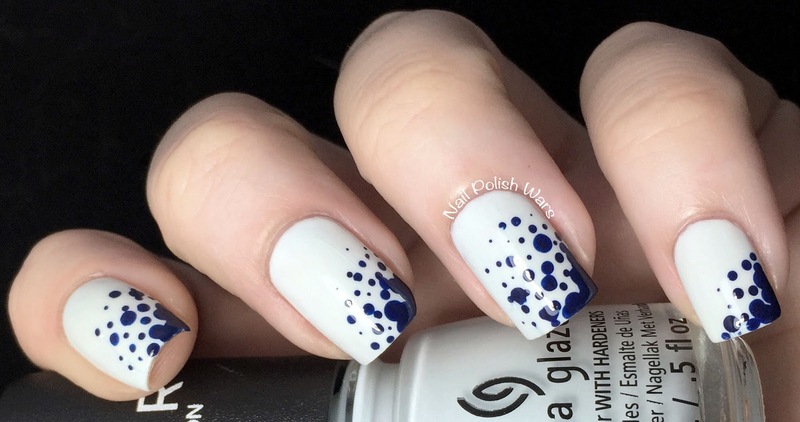 I love the controlled splatter look! You come up with the best looks! Very pretty. Great for a day when you don't have much time to spare.